Til or Sesame Seeds are good source of copper, calcium, iron, zinc and dietary fibers which are very essential minerals for good health of the body. 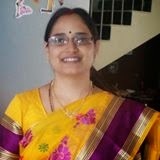 We in India prefer to take it in our diet during winters. It generates heat in the body and keep it warm in chill winters. And also intake of sesame seeds along with jaggery keeps the hemoglobin levels intact in the body. We prefer to give this particular dish to girls when they attain puberty. This is a kind of sweet where we need not cook anything. Just grind both the ingredients and make ladoos. No nonsense sweet. Whenever we want to have some sweet with no oil or ghee I prefer to make this. Grind sesame seeds in a blender jar to make powder. Combine this with grounded sesame seeds and blend it. Blend it till the jaggery mixes with the sesame seed powder. This may take 5 minutes time, we need to be careful with the blender jars. This may struck, so blend it slowly with regular intervals. Once done, take this mixture into a wide bowl. Take little portion of it and make ladoo. We can make as many as 15 ladoos with the given measurements. 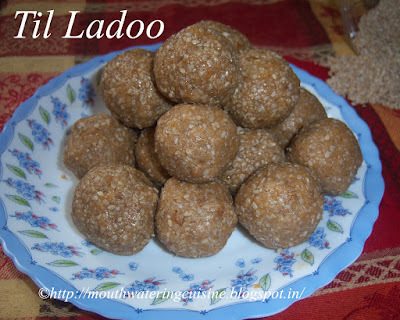 We can store til ladoo in an air tight container for one week.